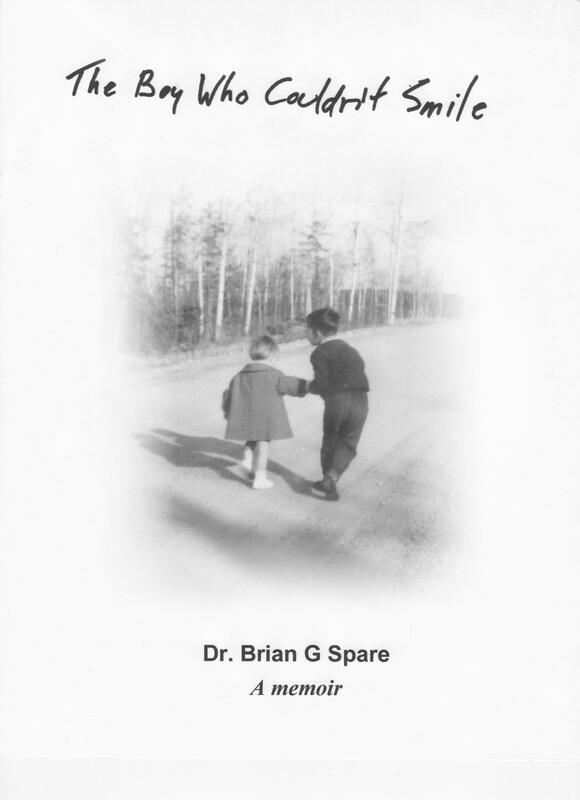 My health steadily worsened and my parents’ anxiety increased over the next eight months as they took me to see one doctor after another in Thunder Bay. The doctors referred me to the Hospital for Sick Children in Toronto. By October of 1972, one month after the Canada versus Soviet Union eight game hockey series – the 1972 Summit Series – I was back at Sick Kids. My friends and I talked about that series all summer. It was a good distraction for me from the worry of going back to see the doctors in Toronto. Little was known about the Soviets. The cold war between the East and West was at its height and much secrecy existed between the two sides. At the time Canada playing hockey with the Soviets was a novelty to many Canadians. Everyone learned about the Soviet Union through the games. The whole series, especially the games in the USSR, was like a voyage into the unknown and the mystique sparked intrigue and national pride. The first four games were in Canada and we were all glued to the TV each evening for every game. The Soviets won two and tied one. The remaining four games were played in Moscow. Because of the time difference they were telecast live in the afternoon. This meant we were at school and not in front of a TV. The games were also broadcast live on radio. One of the boys had a transistor radio in his pocket with an ear phone wire running up his sleeve. The play by play went from student to student up and down the rows for all the games. Not one teacher noticed. On the afternoon of September 28th, the day of the eighth game, class ended just as the final minutes of the third period were ticking down. The score was tied. There was no overtime. Each team had the same number of wins. If this game ended in a tie the Soviets would take the series because they had scored more goals overall. Canada had to win. I had just gone to my locker and was heading out the door when a crowd of kids surrounding the bicycle rack suddenly threw their arms in the air shouting, “Henderson scored!” Paul Henderson had scored the go-ahead goal with 34 seconds left in the final minute of play. I ran to the bicycle rack where we huddled around a small transistor radio as we held our breath listening to Foster Hewitt’s play by play of the final seconds. Canada won 6-5 and I wore a smile all the way home. First Period. The Investigation. One month later I was still smiling from the historic goal when Mom, Dad, Catharine and I arrived in Toronto. I saw the doctors the next day who questioned me about my symptoms and did all the initial tests such as listen to my chest with a stethoscope. They wanted to run more tests on me as an inpatient. I was admitted to Sick Kids the following Wednesday. After seeing the doctors we went to Woodbine race track with Pat, a family friend. Catharine and I called him Uncle Pat. Pat loved horses and everything to do with them. He spent most of his leisure time and money at Woodbine. There he met Frank “King” Clancy who was vice president of the Toronto Maple Leafs and former Leafs defenseman. Pat introduced us to the King and Catharine and I got his autograph. King Clancy turned to me and said, “Come to the Gardens on Saturday and I’ll give you a Team Canada autographed hockey stick.” I nearly fell over. I couldn’t wait. It’s all I thought about for two days. I really thought that King Clancy had gone to Moscow and back with the team not knowing what C.C.C.P. on the Soviet jerseys stood for. The King took us downstairs around to the back of the Gardens where his car was parked. He opened the trunk and in it was a pile of autographed Team Canada hockey sticks. “Which one do you want?” he asked. The choice was easy. “Henderson,” I said. King Clancy rummaged through the pile and said, “Ah, here we are, Henderson,” and handed me the stick. I marvelled at that hockey stick. It was obvious Paul Henderson had used it. There was a chip off the tip of the blade and the tape around it was worn. I read each autograph carefully – Ivan Cournoyer, Ken Dryden, Phil Esposito … Paul Henderson had signed his stick too. I knew the name of every player on that team and the whole team had signed it. Many of my hockey idols in the NHL were on team Canada. Now I had a hockey stick with all their autographs on it that belonged to Paul Henderson. This was the ultimate hockey prize. Beaming with excitement I proudly showed off my stick to Dad and Pat. Play hockey with it?! I had no intention of playing hockey with this stick. Wow! I never made it back to Maple Leaf Gardens the following Saturday and I didn’t get a second autographed hockey stick. But I treasure the one I have. I met King Clancy a few more times in the following years and always found him very pleasant and personable. Although he was small in stature compared to today’s NHLers he was big in heart. The following Monday I saw my first NHL game. Mom, Dad, Catharine and I sat at centre ice ten rows back. I had my first thrill of seeing in person the players I watched on Hockey Night in Canada every Saturday. I felt the coolness off the ice, heard the slap of stick on puck and the players calling to each other. It was an experience wholly different in sound and atmosphere than from watching it on TV. Next season Eddie Shack was traded to Toronto I think just so the Leafs fans could cheer him on as he charged toward the visiting team’s net. Eddie always looked like he was out on the ice having fun. He wore a big smile as he skated around the rink more like a big kid than a serious hockey player. He put a smile on my face as I watched. He said the fans came to be entertained. For that he earned the nick name “The Entertainer,” and he was as entertaining as he was colourful. The Leafs fans loved to see him play including me. I tuned into Hockey Night in Canada each Saturday as much to see Eddie Shack as to watch the Leafs play. On Wednesday, two days after seeing my first NHL game, I was admitted to the Hospital for Sick Children to investigate the cause of my worsening symptoms. Did I have a brain tumour after all? This entry was posted in Memoir and tagged brain tumour, hockey, Hospital for Sick Children, Maple Leaf Gardens, Sick Kids, Team Canada 1972. It was a two day train trip from Sudbury to Fort William. I remember the gentle sway of the carriage and the clickity clack of the wheels. Most of all I recall sitting aloft seemingly perched on top of the train in the glassed double-decker observation car. I spent most of the trip in my “nest” watching the countryside unfold before me on my adventure northwest. Even then I knew that one day I would ride this train again – at least for nostalgia’s sake. We arrived at the Syndicate Avenue train station in Fort William on a mid-April evening. George, a man who would be Dad’s colleague for the next 26 years, met us. He brought us to a cozy, small motel called The Uptown. It wasn’t far from the station and just down the street from McKellar Hospital. We stayed there for a few nights. Then we moved to a motel on the Kingsway for a week. We finally rented a house for two years on Dorothy Street in the hilly Port Arthur side of Thunder Bay. The house was within walking distance to St. Bernard’s School where Catharine and I attended grade school. We went for many family walks around Centennial and Chippewa Parks, visit friends and play board games like Michigan rummy. Mom and Dad made learning arithmetic fun by playing Cribbage. 15-2, 15-4, 15-6 and a pair is 8. One family ritual I looked forward to each week was Sunday morning breakfast. After church Dad cooked bacon and eggs while Catharine and I set the dining room table with the good china and silverware. Then we ate our meal with fresh Irish soda bread that Mom had baked on Saturday. We only ate at the dining room table on special occasions. Eating Sunday breakfast in the dining room made this a special event I enjoyed immensely. One Saturday afternoon in July, 1966, a year after moving to Thunder Bay, when I was seven, Mom noticed I was closing my left eye to catch a ball. She asked me why. “So I just see one,” I replied. She examined at me closely and saw my left eye had turned in slightly which gave me double vision. I adapted by closing my left eye so I would see only one image. My friends thought it was really cool that I had double vision. Some of them asked, “How come you can see two of everything?” They could only see one. That August my parents took me to see an eye surgeon in Thunder Bay. During the month since Mom noticed my left eye had turned in to when I saw the eye surgeon, both eyes had turned in making me cross-eyed. The eye surgeon concluded that the problem had little to do with my vision. He said my eyes turned in because the outer lateral eye muscles were paralyzed. He suspected a brain tumour and referred me to the Hospital for Sick Children in Toronto for confirmation. Mom and Dad were deeply troubled by this diagnosis. They downplayed the seriousness of it to me. My parents enthusiastically told me the eye surgeon wanted me to see a doctor in Toronto. They knew I liked to go places so they pretended to be excited that we were going on a trip. I was excited too. My parents brought me to Sick Kids in Toronto in September, 1966, where received many pokes and prods from doctors. The one test I remember was the air and dye studies. The doctors put me under a general anaesthetic. Then they injected air and dye into my spinal column and moved my head around while they made their observations. During the procedure I stopped breathing and they had to resuscitate me. This meant they were unable to complete the test which left the results inconclusive. Even with incomplete results the doctors concluded that they could find no evidence of a brain tumour and could offer no explanation as to why I was cross-eyed. When I woke up my head was like a helium balloon bobbing up and down tethered to a string. I felt totally disconnected for a week. 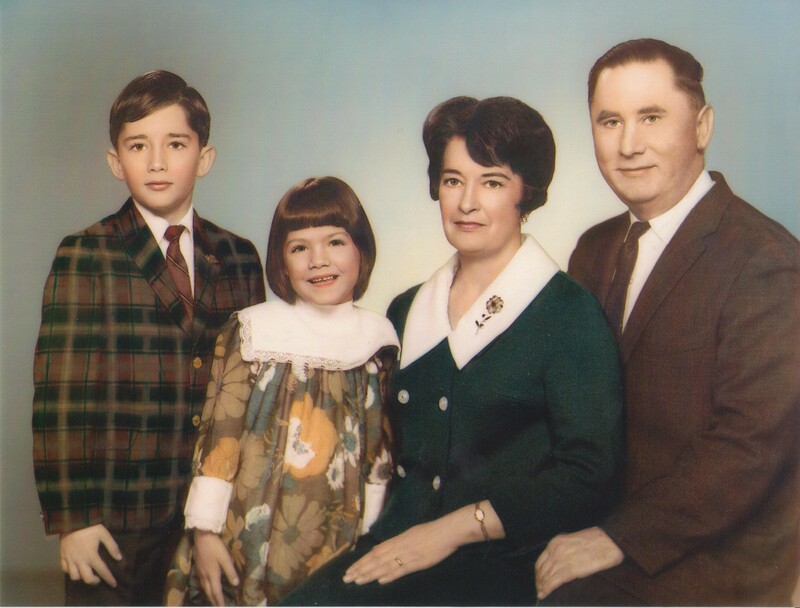 In May of 1967, we moved into a new house that Mom and Dad built on Whalen Street. I turned eight in June. In July we vacationed in Montreal with Grandma, Dad’s mother, who came from England to visit. After we spendt a great time at Expo ’67 in Montreal, during a stopover in Toronto on the way home, my parents dropped a bomb shell. Mom and I would be staying behind while I had eye surgery to correct my double vision. I was upset they hadn’t told me sooner. Mom and Dad didn’t want the thought of the surgery to spoil my trip. The next day I was admitted to Sick Kids and had eye surgery the day after. The eye surgeon shortened the muscles to pull my eyes straight. I have not been able to move my eyes from side to side since. I spent three more nights in hospital, two nights with Mom at a hotel in Toronto and then we flew back to Thunder Bay. I was home, seeing only one image again and I was glad it was over. I was back to my regular self playing like all the other kids. For the next three years I had no health problems.